The Descendants of John FYFE , circa 1730. 34. Catherine Maud DRAKE  (Walter Clunie DRAKE19, Margaret Clunie FYFE12, George11, John1) was born 08 Feb 1881 in Mercer Auckland New Zealand and died 28 May 1952 in Lower Hutt New Zealand at age 71. Married Otto in 1909 in Wellington. Otto HEMPLEMAN was a Traveller/Salesman. She died in 1952, but not buried with Otto in Karori Cemetery. Catherine married Otto Henry HEMPLEMAN  [MRIN: 4390], son of John Otto HEMPLEMAN  and Catherine O'BRIEN , 31 Jul 1909 in St.Peter's Wellington New Zealand. Otto was born 09 May 1879 in Kaiapoi Christchurch New Zealand, died 23 Sep 1947 in Wellington Wellington New Zealand at age 68, and was buried in Karori Nr. Wellington New Zealand (Area 12, Blk BJ, Row 20, Plot 5). 73 F i. Catherine Emily HEMPLEMAN  was born 13 Jan 1910 in Auckland Auckland New Zealand and died 24 Aug 1987 in Lower Hutt New Zealand at age 77. Catherine married Oswald Maynard PREBBLE  [MRIN: 4396] 07 Mar 1934 in New Zealand. Oswald was born 28 Dec 1901 in Nelson Nelson New Zealand. 74 F ii. Margaret Ann HEMPLEMAN  was born 11 Apr 1912 in Auckland Auckland New Zealand, died 24 Jun 1958 in Wellington Wellington New Zealand at age 46, and was buried in Karori Cemetery Wellington New Zealand. 75 M iii. David William HEMPLEMAN  was born 20 Sep 1926 in Kilbirnie Wellington New Zealand. David married Barbara HAMPE  [MRIN: 4400], daughter of Warren HAMPE  and Florence FIRTH , 04 Aug 1956 in Swannanoa North Carolina USA. Barbara was born 03 Mar 1925 in Bellevue Pittsburgh Pennsylvania USA. David next married Ilse VOGELSANG  [MRIN: 4402], daughter of Friedrich VOGELSANG  and Alma RIETBROCK , 28 Apr 1978 in Lengerich Nth Rhein Westfalia Germany. Ilse was born 11 Apr 1946 in Hohne Lengerich Germany. 36. Walter Francis DRAKE  (Walter Clunie DRAKE19, Margaret Clunie FYFE12, George11, John1) was born 26 Jan 1884 in Auckland Auckland New Zealand, died 03 May 1947 in Wellington Wellington New Zealand at age 63, and was buried in Karori Cemetery Karori Wellington New Zealand..
Walter married Olive Elizabeth BEARD  [MRIN: 4391] in 1913 in New Zealand. Olive was born 09 Sep 1884 in Greymouth Westland New Zealand, died 22 Apr 1971 in Lower Hutt New Zealand at age 86, and was buried in Karori Cemetery Wellington New Zealand. + 76 F i. Mary Frances DRAKE  was born 16 Dec 1914 in Wellington Wellington New Zealand. + 77 F ii. Dorothy Clunie DRAKE  was born 17 Dec 1916 in Wellington Wellington New Zealand, died 04 Oct 1995 in Lower Hutt New Zealand at age 78, and was buried in Taita Lower Hutt New Zealand. + 78 M iii. Walter Charles DRAKE  was born 04 Mar 1919 in Christchurch Canterbury New Zealand. + 79 F iv. Beatrice Clara DRAKE  was born 03 Apr 1922 in Tokomairiro Otago New Zealand. + 80 F v. Valerie Evelyn DRAKE  was born 23 May 1923 in Tokomairiro Otago New Zealand. 37. Clunie James DRAKE  (Walter Clunie DRAKE19, Margaret Clunie FYFE12, George11, John1) was born 28 Aug 1885 in Opunake Taranaki New Zealand, died 27 Aug 1956 in Auckland Auckland New Zealand at age 70, and was buried in Waikumete War Cemetery Auckland New Zealand. His twin died at birth. Surveyor & Farmer. Lived at Maramarua. Farm at Te Kauwhata. He served in WW1 (2/442 Gunner, Main Body, Artillery) and was wounded in the arm by artillery shrapnel at Gallipoli. Married Verna May DALE-TAYLOR in 1918, and they had 6 chn. After their marriage they moved onto Clunie's farm at Wairenga Falls Road where they remained until Clunie retired, and their eldestson, Eldon, and his wife Joan, took over the farm. Died 1965, and buried at Waikumete War Cemetery. Will filed 24 Oct. 1956 in Auckland Ct - Farmer ex Maramarua. Probate No. BBAE 1570 2369/56 - Auckland Archives. Clunie married Verna May DALE-TAYLOR  [MRIN: 4392] 04 Sep 1918 in Baptist Tabernacle Queen Street Auckland New Zealand. Verna was born 21 May 1898 in Auckland Auckland New Zealand, died 01 Oct 1972 in Auckland Auckland New Zealand at age 74, and was buried in Mangere Cemetery Auckland New Zealand. Verna's family lived in Fiji for about 8 years. On arriving back in NZ about 1910, they decided to include Verna's grandmother's maiden name, Dale, in their surname, thus changing from Taylor to Dale-Taylor. + 81 M i. Eldon Clunie DRAKE  was born 21 Jun 1919 in Auckland Auckland New Zealand, died 02 Aug 1991 in Auckland Auckland New Zealand at age 72, and was buried in Papakura Auckland New Zealand. + 82 F ii. Zoe Margaret DRAKE  was born 29 May 1922 in Auckland Auckland New Zealand, died 25 Oct 1981 at age 59, and was buried in Mangere Cemetery Auckland New Zealand. + 83 F iii. Beryl Verna DRAKE  was born 29 Dec 1924 in Auckland Auckland New Zealand, died 24 Oct 1971 in Onehunga Auckland New Zealand at age 46, and was buried in Mangere Cemetery Auckland New Zealand. + 84 M iv. David Dale DRAKE  was born 15 Sep 1931 in Auckland Auckland New Zealand. + 85 F v. Doris Elizabeth DRAKE  was born 21 Aug 1940 in Auckland Auckland New Zealand, died 20 Sep 2005 at age 65, and was buried 26 Sep 2005 in Waikumete Cemetery Auckland Auckland New Zealand. + 86 F vi. Lynette Nina DRAKE  was born 21 Aug 1940 in Auckland Auckland New Zealand. 39. Marion Florence DRAKE  (Walter Clunie DRAKE19, Margaret Clunie FYFE12, George11, John1) was born 31 May 1891 in Carterton Wellington New Zealand, died 10 May 1948 in Wellington Wellington New Zealand at age 56, and was buried in Karori Cemetery Wellington New Zealand. Marion married Walter Sigfrid CEDERHOLM  [MRIN: 4393], son of Halford Sigrid CEDERHOLM  and Emma Annie , 06 Jun 1917 in St.Mark's Wellington New Zealand. Walter was born 01 Sep 1884 in Christchurch Canterbury New Zealand, died 13 Nov 1958 in Wellington Wellington New Zealand at age 74, and was buried in Karori Nr. Wellington New Zealand (Area 8, Blk F, Row 1, Plot 11). 87 M i. Halford Sigfrid CEDERHOLM  was born 12 Mar 1920 in Wellington Wellington New Zealand, died 18 Jan 1926 in Wellington Wellington New Zealand at age 5, and was buried in Karori Cemetery Wellington New Zealand. 88 F ii. Nancy Florence CEDERHOLM  was born 21 Mar 1921 in Wellington Wellington New Zealand. Nancy married Kevin FORSYTH  [MRIN: 4395] 15 Mar 1972. + 89 M iii. Cedric Halford CEDERHOLM  was born 24 Jun 1927 in Wellington Wellington New Zealand. 42. Ethel Mary WHITTEM  (Agnes Clunie BISHOP22, Ann Torn FIFE15, George11, John1) was born 26 Mar 1876 in Wellington Wellington New Zealand, died 13 Aug 1963 in Wellington Wellington New Zealand at age 87, and was buried in Aug 1963 in Karori Cemetery Wellington New Zealand. Ethel married Oswald Nenon Armstrong BEERE  [MRIN: 237], son of Edward Holroyd BEERE  and Mary BREWER , in 1903 in Old St Pauls Cathedral Wellington New Zealnd. Oswald was born 23 Jan 1870 in Thames Coromandel New Zealand, died 07 Dec 1923 in Wellington Wellington New Zealand at age 53, and was buried in Dec 1923 in Karori Cemetery Wellington New Zealand. + 90 F i. Nancy Mary BEERE  was born 02 May 1908 in Wellington Wellington New Zealand and died 03 Nov 1999 in Potter's Bar Hertford England at age 91. 91 F ii. Valerie BEERE  was born 23 Jun 1909 in Wellington Wellington New Zealand and died 14 Apr 2000 in Wellington Wellington New Zealand at age 90. One thing of recent note concerns the late Valerie Beere, my Mother's sister. She was an artist who specialised in portrait painting. In the early 1950's while living and working in London she painted a portrait of Sir Charles Alfred Howard, the Serjeant at Arms in the House of Commons, in his apartment within the Palace of Westminster. (I saw the painting in the apartment at that time.) However as neither he nor the House of Commons purchased the painting from her it remained in her possession and it was taken to New Zealand when she returned there to live in 1960. There it remained until I saw it in her house in 1997. In 1999 I wrote to my MP suggesting that the House of Commons might like to purchase the painting and this suggestion was subsequently approved by the the Speaker of the House of Commons, Betty Boothroyd. Some restoration work had to be undertaken on the painting prior to it being shipped to the UK, and it eventually arrived here in December of 2000, when I delivered it to the Curator of Fine Arts at the House of Commons, by which time Betty Boothroyd had retired and a new Speaker, Michael Martin, appointed. In May 2001 the Government called a General Election, and so the formal acceptance of the painting did not take place until the 30th October 2001. On that day the Speaker held a reception in his apartments, attended by himself, the current Serjeant at Arms, some MP's, staff from the Serjeant's office,and members of our family. The portrait was on display, prior to being hung permanantly in the Serjeant at Arms office. Unfortunately Valerie died in April 2000, before the painting left New Zealand, but I think she was aware that negotiations were in hand to sell the painting to the Palace of Westminster. PS Yes the 'Serjeant at Arms' is spelt with a 'J' not a'G'! "Born in Wellington. Educated at Marsden Primary School, Marsden Secondary School and Wellington Technical College School of Art. Art classes at Central School, London, Heatherley Schoolof Art, England and the Atelier Grande Chaumiere, Paris. Member of NZ Academy of Fine Arts. + 92 M iii. Douglas Jocelyn BEERE  was born 10 Mar 1913 in Wellington Wellington New Zealand and died 22 Sep 2001 in Wellington Wellington New Zealand at age 88. 48. Anne Caroline Fannie THANE  (Diana BISHOP25, Ann Torn FIFE15, George11, John1) was born 23 Jun 1880 in Wellington Wellington New Zealand, died 21 Jun 1947 in Tauhei Morrinsville Waikato New Zealand at age 66, and was buried in Hamilton East Cemetery New Zealand. Anne married Lionel Francis STEWART  [MRIN: 208], son of Unknown and Unknown, 01 Sep 1910 in Wellington Wellington New Zealand. Lionel was born 01 Sep 1910 in Wellington Wellington New Zealand and died in Jun 1939 at age 28. + 93 F i. Lorna Katherine STEWART  was born 29 May 1913 in Helensville Auckland New Zealand and died 03 May 1981 in Maungakaramea Whangarei Northland New Zealand at age 67. + 94 F ii. Eva Lillian STEWART  was born 17 Feb 1916 in Hamilton Waikato New Zealand. 95 F iii. 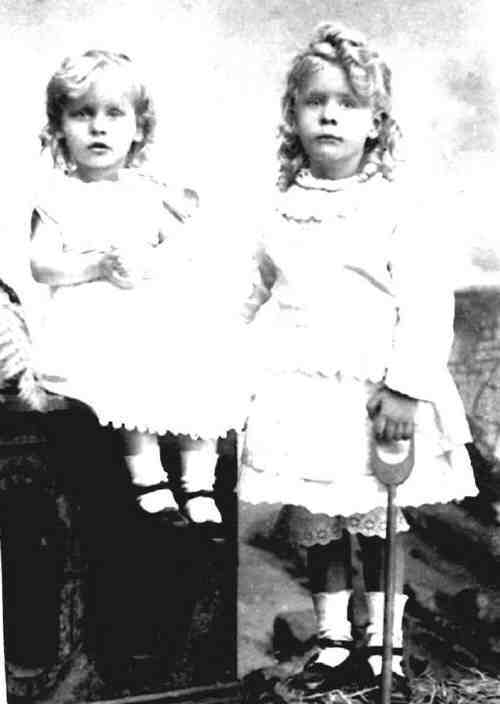 Marjory Helen STEWART  was born 26 Apr 1917 in Helensville Auckland New Zealand and died 23 Jun 1919 in Helensville Auckland New Zealand at age 2. 49. Eva Beatrice Rhoda THANE  (Diana BISHOP25, Ann Torn FIFE15, George11, John1) was born 21 Apr 1882 in Wellington Wellington New Zealand, died 07 Feb 1915 in Wellington Wellington New Zealand at age 32, and was buried in Feb 1915 in Karori Cemetery Wellington New Zealand (Area 2, Block A, Row 20, Plot 22). The cause of her death was died in childbirth. Eva married Wynford Ormsby BEERE  [MRIN: 209], son of Edward Holroyd BEERE  and Mary BREWER , 03 Dec 1903 in Wellington Wellington New Zealand. Wynford was born 07 Aug 1873 in Thames Coromandel New Zealand, died 04 May 1964 in Wellington Wellington New Zealand at age 90, and was buried 06 May 1964 in Karori Cemetery Wellington New Zealand. + 96 M i. Geoffrey Thane BEERE  was born 03 Sep 1905 in Thames Coromandel New Zealand and died in Nov 1985 in Palmerston North Manawatu New Zealand at age 80. + 97 F ii. Margaret Wyn BEERE  was born 16 Jun 1909 in Wellington Wellington New Zealand, died in Sep 1991 in Auckland Auckland New Zealand at age 82, and was buried 13 Dec 1991 in Purewa Cemetery Auckland New Zealand. + 98 F iii. Joan Estelle BEERE  was born 01 Jan 1911 in Wellington Wellington New Zealand and died 16 Aug 2000 in Wellington Wellington New Zealand at age 89. + 99 F iv. Eva Marie Adrienne BEERE  was born 03 Feb 1915 in Wellington Wellington New Zealand, died 17 Jan 1994 in Wellington Wellington New Zealand at age 78, and was buried 20 Jan 1994 in Karori Cemetery Wellington New Zealand. 52. Edward William Theodore THANE  (Diana BISHOP25, Ann Torn FIFE15, George11, John1) was born 30 Mar 1887 in Wellington Wellington New Zealand, died 15 May 1967 in Wellington Wellington New Zealand at age 80, and was buried 18 May 1967 in Karori Cemetery Wellington New Zealand. Edward married Doris BENTLEY  [MRIN: 211], daughter of William BENTLEY  and Florence WALKLEY , 08 Oct 1914 in Wellington Wellington New Zealand. Doris was born 01 Jul 1898 in Wellington Wellington New Zealand, died 24 Oct 1966 in Wellington Wellington New Zealand at age 68, and was buried 26 Oct 1966 in Karori Cemetery Wellington New Zealand. + 100 M i. John Seymour THANE  was born 25 Jul 1915 in Wellington Wellington New Zealand, died 19 Aug 1979 in Foxton Wellington New Zealand at age 64, and was buried in Foxton Lawn Cemetery Wellington New Zealand. + 101 F ii. Rita Lois THANE  was born 09 Nov 1916 in Wellington Wellington New Zealand. 102 M iii. Desmond William THANE  was born 10 Jul 1920 in Pongaroa Wellington New Zealand, died 28 Dec 1941 in Heligoland Holland at age 21, and was buried in Wintererswijr Holland. Attended Foxton District High School 18 March 1932 - 20 Dec. 1933. Destination: Sec Dept. Lived Main St, Foxton. Foxton DistrictHigh Scool 5 Feb. 1934 - 9 March 1937. Lived BNZ. • Occupation: Bank Clerk and flew with the RAF. + 103 M iv. Malcolm Bentley THANE  was born 14 Dec 1924 in Pongaroa Wellington New Zealand and died 30 Jun 2002 at age 77. + 104 F v. Pauline Winifred THANE  was born 29 Jan 1927 in Dannevirke Hawke's Bay New Zealand. 55. Edith Lois THANE  (Diana BISHOP25, Ann Torn FIFE15, George11, John1) was born 17 Feb 1892 in Wellington Wellington New Zealand, died 17 Aug 1972 in Wellington Wellington New Zealand at age 80, and was buried 21 Aug 1972 in Karori Cemetery Wellington New Zealand. Edith married Gilbert KING  [MRIN: 215], son of Unknown and Unknown, 10 Feb 1918 in Catholic Apostolic Church Wellington NewZealand. Gilbert was born 28 Mar 1893 in Manaia Taranaki New Zealand, died 19 May 1942 in Wellington Wellington New Zealand at age 49, and was buried in May 1942 in Karori Cemetery Wellington New Zealand. + 105 F i. Diana KING  was born 20 May 1919 in Wellington Wellington New Zealand and died in Oct 1993 in Wellington Wellington New Zealand at age 74. + 106 F ii. Clemency KING  was born 07 Jul 1920 in Wellington Wellington New Zealand. + 107 F iii. Shirley KING  was born 07 Jul 1920 in Wellington Wellington New Zealand and died 25 Sep 2001 in Auckland Auckland New Zealand at age 81. + 108 M iv. Arnold Thane KING  was born 16 Jan 1923 in Wellington Wellington New Zealand and died 01 Apr 1996 in Wellington Wellington New Zealand at age 73. + 109 M v. David Thane KING  was born 16 Jan 1923 in Wellington Wellington New Zealand. + 110 F vi. Judith Vere KING  was born 14 Jun 1930 in Wellington Wellington New Zealand and died in Jul 1998 in Whangarei Northland New Zealand at age 68. + 111 F vii. Jennifer Lois KING  was born 14 Jun 1935 in Wellington Wellington New Zealand. 56. Enid Clunie THANE  (Diana BISHOP25, Ann Torn FIFE15, George11, John1) was born 21 Aug 1894 in Wellington Wellington New Zealand and died in 1948 in Porirua Mental Hosp. Wellington New Zealand at age 54. Enid married Frank Eggar GREENISH  [MRIN: 214], son of Unknown and Unknown, 09 Apr 1920 in Wellington Wellington New Zealand. Frank was born in 1887 and died 12 Jan 1962 at age 75. 112 F i. Valerie GREENISH  was born 31 Oct 1921 in Wellington Wellington New Zealand. 57. Mary Henton BISHOP  (John Clunie BISHOP27, Ann Torn FIFE15, George11, John1) was born 07 Aug 1897 in Wellington Wellington New Zealand, was christened in Catholic Apostolic Church Wellington NewZealand, died 20 Jul 1974 in Hamilton Waikato New Zealand at age 76, and was buried in Newstead Cemetery Hamilton Waikato New Zealand. Another name for Mary was Mollie. Born 7/7/1897 at 3 a.m. in Wellington, and known as Mollie. Baptised by W T THANE at Catholic Apostolic Church. Married Norman ANNABELL on 12 June 1919 at the Apostolic Church, Webb St, Wellington, and they had Clunie & David. She was a beautiful flower arranger. Their home 'Bembridge' in Henton St, Te Aroha, was named after an area in the Isle of Wight where the Bishops often went. Henton Street is named after Henton Macaulay DAVEY, her grandfather. They lived in Wellington, Wanganui and Te Aroha. Mary married Norman ANNABELL  [MRIN: 191], son of John ANNABELL  and Jane BRAITHWAITE , 12 Jun 1919 in Catholic Apostolic Church Wellington New Zealand. Norman was born 11 Oct 1892 in Waverley Wellington New Zealand, died 21 Nov 1968 in Hamilton Waikato New Zealand at age 76, and was buried in Newstead Cemetery Hamilton Waikato New Zealand. 2nd youngest son of 13 children. He would bike to Dury Vale over the river each morning to milk the family cows, and take milk home again before going to school. His mother, Jinny, opened a little shop on the corner of the property to sell surplus dairy products, and also sweets. Engineer and surveyor; and a gentle, kindly man. He met Mollie BISHOP when Army cadets were invited to lunch in homes, and he enjoyed meals with the family. Norman served with the NZ Expedition Force Engineers. Awarded M.C. At the end of the 1914-18 war he was Major NZ Engineers, and in peacetime rose to be St Colonel Officer commanding NZ Engineers West Coast Regiment. 2 days after he landed back in NZ, his father died. On horseback (his own charger), sword at the ready heading the ANZAC Parades in Wanganui, he was a figure to be proud of. He married Mollie (Mary Henton BISHOP) on 12 June 1919 in Wellington, on his return from W.W.1, and had 2 children - Clunie & David. He used to let his daughter, Clunie, help clean his brass and leathers before parades. Borough Electrical Engineer at Te Aroha from 1941-2. On his retirement, they moved to Hamilton to be near Clunie, their daughter; and he died in 1968. Both graves sighted and photographed 30/12/2002. + 113 F i. Clunie ANNABELL  was born 30 Mar 1920 in Wanganui New Zealand and was christened 25 Apr 1920 in Catholic Apostolic Church Webb St Wellington New Zealand. 114 M ii. David ANNABELL  was born 22 Dec 1924 in Wanganui New Zealand and died 27 Jun 1991 in Te Kuiti Waikato New Zealand at age 66. 58. John Montague BISHOP  (John Clunie BISHOP27, Ann Torn FIFE15, George11, John1) was born 25 Mar 1901 in Wellington Wellington New Zealand, died 08 Feb 1984 in Timaru Canterbury New Zealand at age 82, and was buried 24 Feb 1984 in Timaru Lawn Cemetery Canterbury New Zealand (Block L, Lot 1207). Another name for John was Jack. Born in Wellington at 1.15 a.m. on 25 March 1901, and was baptised by WT THANE at Catholic Apostolic Church, Webb St, Wellington. Educated at Wellington College. Went to Canterbury University, getting his degree in Electrical Engineering and earning a travelling scholarship to Birmingham, England, for a year, later increased to 2 yrs. (1923-25). Returned to Australia and was employed by GEC in Sydney & Hobart until 1930, when he returned to NZ to the position of chief engineer for the Blackball Mining Co on the West Coast. He married Daisy ROBERTSON (Widow), eldest daughter of Mr & Mrs VICARY, Taroona, Hobart, Australia, at Hobart on 19 November 1928. She had 2 children from her 1st marriage, Joan & Mark. Early in 1936 he accepted the position of assistant powerhouse superintendent at the Monowai power house, but towards the end of that yr the electrical undertaking of the board was taken over by NZ Electricity Dept. In 1937 the dept transferred him to Wellington as assistant electrical engineer for contracts and administration. His appointment as general manager of South Canterbury Electric Power Bd was made in 1940, and he held this position until retirement in Dec. 1966. They lived at 218 Otipua Road, Timaru - a lovely home with large garden. Daisy died in 1977, as the result of a car accident, and he later shifted to a flat at 8 Rata Place, Timaru. John married Daisy Pearl VICARY  [MRIN: 192], daughter of Donald Roberts VICARY  and Sarah Ann RIDGES , 19 Nov 1928 in Australia. Daisy was born 25 Nov 1900 in Coonya Tasmania Australia, died 03 May 1977 in Timaru Canterbury New Zealand at age 76, and was buried 05 May 1977 in Timaru Lawn Cemetery Canterbury New Zealand (Block L, Lot 1207). The cause of her death was Car Accident. General Notes:Born in Coonya, Tasmania, Australia - 2nd daughter. Married Thomas Warton ROBERTSON in 1918 in Tasmania. Had 2 children - Joan & Mark. Died in a car accident 3 May 1977 aged 76. "Daisy Pearl BISHOP, wife of John Montague BISHOP, died 3 May 1977 aged76" (Block L, Lot 1207). Jack also buried there on his death in 1984. + 115 M i. Donald John Vicary BISHOP  was born 15 Nov 1932 in Blackball West Coast New Zealand. 60. Edith Muriel BISHOP  (John Clunie BISHOP27, Ann Torn FIFE15, George11, John1) was born 25 Sep 1908 in Wellington Wellington New Zealand, was christened in Oct 1908 in Catholic Apostolic Church Wellington NewZealand, died 05 Dec 2000 in Matamata Waikato New Zealand at age 92, and was buried 12 Dec 2000 in Matamata New Zealand. Another name for Edith was Peggy. Born 1.15 p.m. on 25 Sept. 1908 at Wellington, and baptised by W T THANE at Catholic Apostolic Church, Webb St, on October 1925. Came from an Apostolic church background - Webb St, Wellington. Lived at 7 Boston Tce, Wellington. Attended Terrace School (Aurora Tce), enjoyed basketball and tennis, good at spelling. In 1921 started at Wellington Girls College - an average pupil. Went on to Training College, taking Education, Psychology & Ethics at the Victoria University towards a B.A. degree. Played rep. basketball at Training College. Then on 25 October 1934 Peggy travelled with her brother-in-law, Tom Guild, to England and Scotland - a very exciting 8 months - returning June 1935. Started at Napier Central School in Sept. 1935. - end of 1936, then went to Queen's Park, Wanganui in Feb. 1937 living with oldest sister, Mollie and her husband, Norman, until married on 12 October 1937. Edith married Herbert Winston Stovin TAYLOR  [MRIN: 194], son of Herbert Richard Stovin TAYLOR  and Alice Rose Cecilia BAGGE , 12 Oct 1937 in All Saints Church Wanganui East New Zealand. Herbert was born 24 Jul 1907 in "Coveney" Wanganui New Zealand, died 08 Apr 1993 in Matamata New Zealand at age 85, and was buried 12 Apr 1993 in Matamata Cemetery Matamata Waikato New Zealand. The cause of his death was Aortic aneurysm. Another name for Herbert was Winston. Winston was born in 1907 in Wanganui. Winston got asthma at 2 yrs of age. At 17 joined Bank of New South Wales. He met Peggy in 1934 on the 'Whanganella' on his way to Australia, and she to England Scotland. Married in 1937 to Edith Muriel (Peggy) BISHOP in Wanganui East church. After marriage lived at "Ranui" (Big sun) 2 Airlie Rd, Karehana Bay (Old Pukerua Rd), Plimmerton. They had 4 girls. Attended the Waiwhetu Presbyterian church with wife and children. He was an elder in this church. Lived at 212 Waterloo Road, Lower Hutt from 1944 - 1988? He died from an aortic aneurysm on 8 April 1993, and is buried in the Matamata Lawm Cemetery. + 116 F i. Isobel Rosemary TAYLOR  was born 23 Nov 1940 in Wellington Wellington New Zealand. + 117 F ii. Helen Rosalyn TAYLOR  was born 22 Jun 1942 in Wellington Wellington New Zealand. + 118 F iii. Sylvia Edith TAYLOR  was born 22 Jun 1942 in Wellington Wellington New Zealand. 119 F iv. Mary Gwendolen TAYLOR  was born 16 Aug 1946 in Wellington Wellington New Zealand, died 07 Apr 2001 in Oamaru Otago New Zealand at age 54, and was buried 11 Apr 2001 in Oamaru Otago New Zealand. Mary married Rev. James David CAMERON  [MRIN: 992], son of Henry Charles CAMERON  and Caroline STRINGER , 11 Feb 1967 in St.Luke's Waiwhetu Lower Hutt New Zealand. James was born 20 Aug 1942 in Oamaru Otago New Zealand, died 02 Aug 2004 in Steamboat Springs Colorado USA at age 61, and was buried 16 Aug 2004 in Oamaru New Zealand. The cause of his death was Motor Cycle Accident. 62. Ellen Gwendoline BISHOP  (Allan BISHOP28, Ann Torn FIFE15, George11, John1) was born 28 Oct 1889 in Balclutha Southland New Zealand and died 22 Nov 1978 in Dunedin Otago New Zealand at age 89. Ellen married David Neil McCulloch SCRYMGEOUR  [MRIN: 205], son of David SCRYMGEOUR  and Sarah Amelia KINCAID , 03 Feb 1926 in Dunedin Otago New Zealand. David was born 25 Mar 1893 in Launceston Colony of Tasmania and died 29 Mar 1937 in Lauder Otago Central New Zealand at age 44. + 120 M i. Alastair Neil SCRYMGEOUR  was born 28 Aug 1927 in Dunedin Otago New Zealand. 121 F ii. Valerie SCRYMGEOUR  was born 28 Aug 1927 in Dunedin Otago New Zealand and died 04 Sep 1927 in Dunedin Otago New Zealand. + 122 M iii. Allan David SCRYMGEOUR  was born 06 Sep 1928 in Waipara Canterbury New Zealand. 63. Erle Molyneux BISHOP  (Allan BISHOP28, Ann Torn FIFE15, George11, John1) was born 24 Jul 1891 in Balclutha Southland New Zealand and died 20 May 1959 in Balclutha Southland New Zealand at age 67. Erle married Florence Rita PATERSON  [MRIN: 206], daughter of Unknown and Unknown, 27 Mar 1928 in New Zealand. + 123 M i. Richard Gibson BISHOP  was born 04 Nov 1928 in Balclutha Southland New Zealand. + 124 F ii. Barbara Helen BISHOP  was born 10 Jul 1937 in Balclutha Southland New Zealand. 64. Gibson William Allan BISHOP  (Allan BISHOP28, Ann Torn FIFE15, George11, John1) was born 18 Apr 1893 in Balclutha Southland New Zealand and died 14 Jan 1979 in Winchester Hampshire England at age 85. • Occupation: Lt.Colonel, New Zealand Army. Gibson married Violet Emeline HUNTER  [MRIN: 204], daughter of Frederick Ernest HUNTER  and Emmeline ARKWRIGHT , 10 Mar 1921 in Snitterfield Warwickshire England. Violet was born 16 Feb 1891 in England and died 10 Apr 1985 in Winchester Hampshire England at age 94. + 125 F i. Prudence Violet BISHOP  was born 22 Feb 1922 in East Dean Hanpshire England and died 20 Jul 2002 at age 80. + 126 F ii. Rosemary Gibson BISHOP  was born 14 Mar 1924 in East Dean Hanpshire England and died 24 Dec 1997 at age 73. + 127 F iii. Emeline Priscilla Gibson BISHOP  was born 07 Oct 1926 in East Dean House Hampshire England. + 128 F iv. Venetia Jane Sophia Gibson BISHOP  was born 26 Dec 1930 in East Dean House Hampshire. + 129 M v. David Broughton BISHOP  was born 01 Feb 1933 in East Dean House Hanpshire England. 67. May Doreen BISHOP  (Allan BISHOP28, Ann Torn FIFE15, George11, John1) was born 13 May 1899 in Balclutha Southland New Zealand and died 23 Sep 1963 in Dunedin Otago New Zealand at age 64. May married Wilbert Lewis HOTOP  [MRIN: 207], son of Unknown and Unknown, 19 Feb 1928 in New Zealand. Wilbert was born 02 Mar 1896 in Cromwell Otago New Zealand and died 15 May 1966 in Dunedin Otago New Zealand at age 70. + 130 M i. John Perkins HOTOP  was born 07 Dec 1929 in Cromwell Otago New Zealand. + 131 F ii. Ellen Jill HOTOP  was born 15 Aug 1932 in Cromwell Otago New Zealand. + 132 M iii. Peter Gibson HOTOP  was born 23 Aug 1934 in Cromwell Otago New Zealand. + 133 F iv. Phillippa Devon HOTOP  was born 07 Jun 1941 in Cromwell Otago New Zealand. 68. James Augustus NICHOLLS  (Helen Maude Mary BISHOP31, Ann Torn FIFE15, George11, John1) was born 05 Jan 1902 in Eketahuna New Zealand, died 06 May 1987 in Timaru Canterbury New Zealand at age 85, and was buried in Awanui Cemetery New Plymouth Taranaki New Zealand. • Occupation: James was an Insurance Manager. James married Marjorie Alice Stovin TAYLOR  [MRIN: 216], daughter of Herbert Richard Stovin TAYLOR  and Alice Rose Cecilia BAGGE , 15 Nov 1928 in Wanganui New Zealand. Marjorie was born 20 Sep 1900 in Wanganui Taranaki New Zealand, died 15 Feb 1977 in New Plymouth Taranaki New Zealand at age 76, and was buried 18 Feb 1977 in Awanui Cemetery New Plymouth Taranaki New Zealand. Augustus. Loved mother of Prue, Elizabeth, Spencer, Peter & Tony." + 134 F i. Prudence Marjorie Fife NICHOLLS  was born 19 Jul 1930 in Wanganui New Zealand. 135 F ii. Elizabeth Cecilia NICHOLLS  was born 22 Jan 1932 in Wanganui New Zealand. Elizabeth married Johannes Hendricus MARECHAL  [MRIN: 230], son of Unknown and Unknown, 15 Nov 1975 in New Plymouth Taranaki New Zealand. Johannes was born 20 Nov 1929 in Holland. + 136 M iii. James Spencer Fyfe NICHOLLS  was born 03 Dec 1934 in Wanganui New Zealand. + 137 M iv. Peter Clement Fyfe NICHOLLS  was born 27 Apr 1936 in Wanganui New Zealand. 138 M v. Anthony Herbert Fife NICHOLLS  was born 05 Jan 1938 in Wanganui New Zealand, died 07 Feb 1998 in Timaru Canterbury New Zealand at age 60, and was buried 15 Apr 1998 in Awanui Crematorium New Plymouth Taranaki New Zealand. James next married Ethel Joan Warton ROBERTSON  [MRIN: 217], daughter of Thomas Warton ROBERTSON  and Daisy Pearl VICARY , 04 Aug 1978 in New Zealand. Ethel was born 22 Sep 1919 in Hobart Tasmania Australia. 72. Allan William NICHOLLS  (Helen Maude Mary BISHOP31, Ann Torn FIFE15, George11, John1) was born 03 Oct 1910 in Waipukurau Wairarapa New Zealand and died 29 May 1999 in Waipukurau Wairarapa New Zealand at age 88. In 1941 he married Olive WITHEY, and they had 6 children. Allan married Olive Beatrice WITHEY  [MRIN: 219], daughter of Frederick WITHEY  and ? ? DONOVAN , 25 Jan 1941 in St.Peter's Wellington Wellington. Olive was born 24 Jan 1915 in England. + 139 F i. Jennifer Margaret NICHOLLS  was born 26 Nov 1941 in Christchurch Canterbury New Zealand. + 140 F ii. Diane Marie NICHOLLS  was born 08 Feb 1943 in Christchurch Canterbury New Zealand. + 141 F iii. Olive Babara NICHOLLS  was born 03 Nov 1944 in Christchurch Canterbury New Zealand. + 142 M iv. Allan John NICHOLLS  was born 03 May 1947 in Waipukarau Wairarapa New Zealand. + 143 F v. Phillipa Ruth NICHOLLS  was born 19 Apr 1949 in Waipukarau Wairarapa New Zealand. + 144 M vi. David Andrew NICHOLLS  was born 08 Dec 1951 in Waipukarau Wairarapa New Zealand.